Polymer80 Compact Longslide 80-Percent Pistol Frame Kit - Glock 17, Polymer Construction, Textured Grip, Jig, Drill Bits, End Mill | BUDK.com - Knives & Swords At The Lowest Prices! 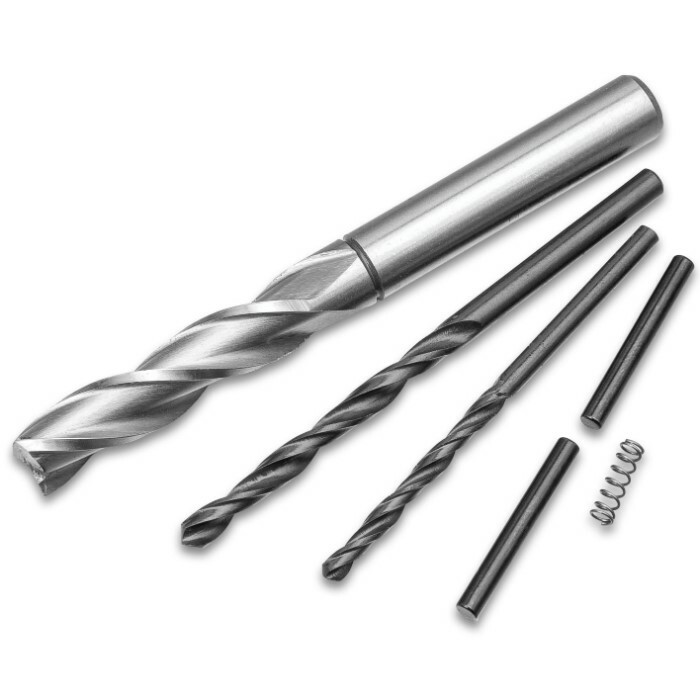 With this system, there are no expensive jig kits and parts to purchase. 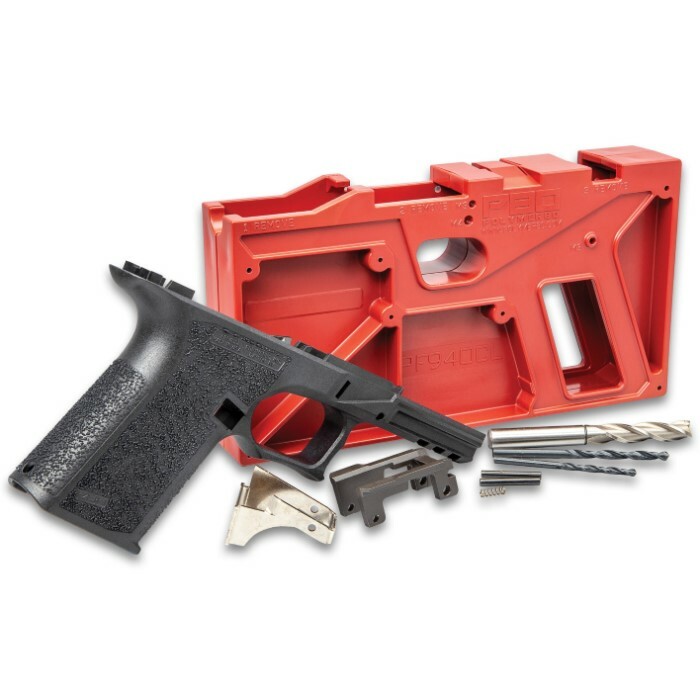 This is an all-inclusive Compact Longslide 80-Percent Pistol Frame and jig package for one great price! 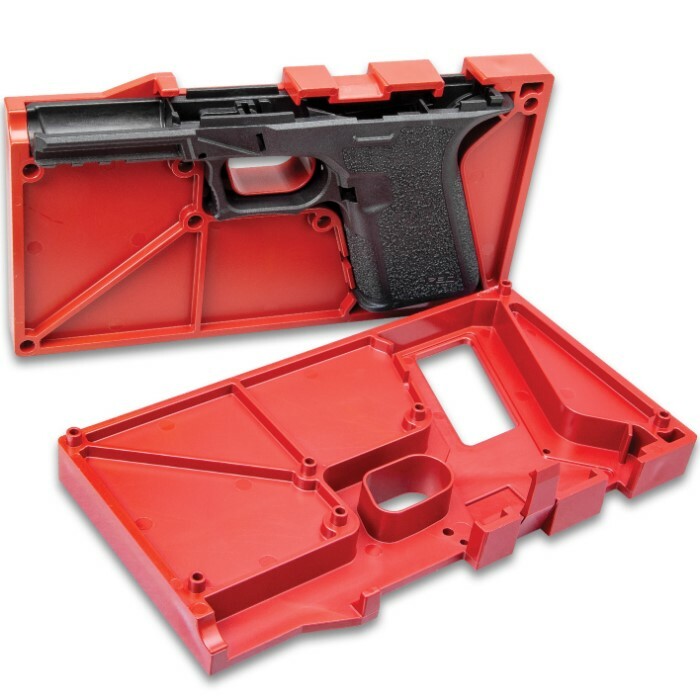 Offering compatibility with Glock 17 components, it’s an industry first. 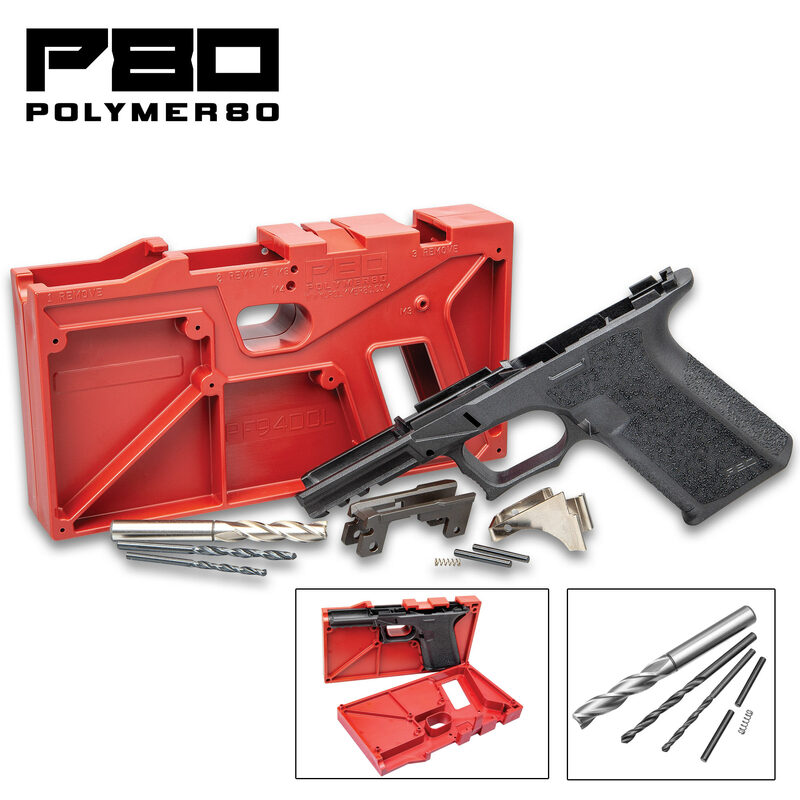 It has Polymer80’s proprietary high-strength, reinforced polymer composite construction with next generation ergonomics. Features like the extended beaver tail, double undercut trigger guard and a thumb ledge considerably enhance the ergonomics, allowing for an effective grip and improved recoil mitigation. Combining the length and accuracy of a Glock 17 with the concealability of a Glock 19, it’s a shooter’s dream come true. This kit includes 80-percent pistol frame, jig and all tooling required to finish the frame using a drill press and XY cross-vise. The best part about it is there is no FFL required to purchase!